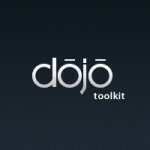 Dojo is arguably the most feature-packed Ajax toolkit available today, with a wide variety of functionality. It can be used sparsely to just add effects or styling to your web page, or it can be used for complex layouts, caching data stores, and interactive 2D graphics—the choice is yours. This book aims to give an overview of all major aspects of Dojo while at the same time giving lots of examples to copy for your own studies and websites. I will be reading this book and posting my reviews of the book and its chapters here, as and when I read them. Its never too bad to have another toolkit under your belt.